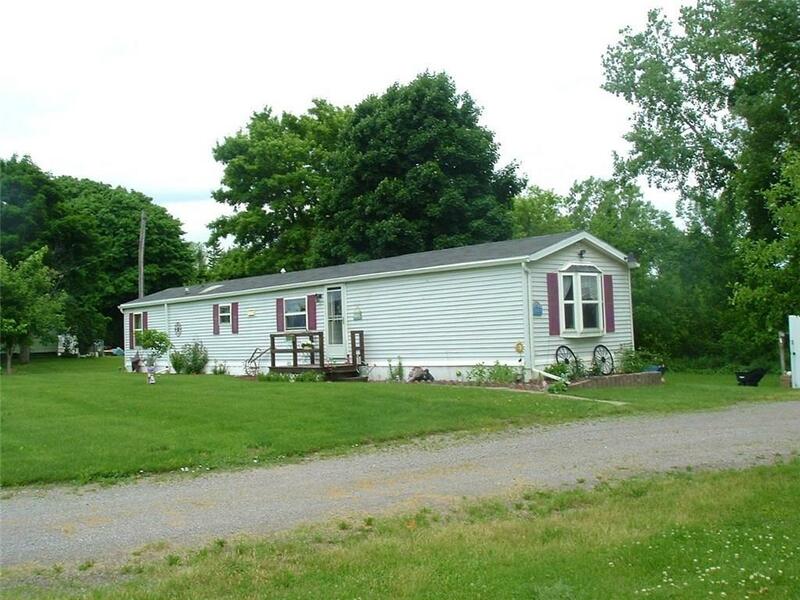 WELL MAINTAINED 3 BEDROOM/1 BATH SINGLE WIDE ON .62 ACRES WITH DETACHED 24' X 40' METAL OUTBUILDING WITH 2 CAR CAPACITY & ROOM FOR STORAGE & WORKSHOP AREA. 14'X10' EAT-IN MODERN KITCHEN INCLUDES STOVE AND REFRIGERATOR. CONVENIENCE OF FIRST FLOOR LAUNDRY. WASHER AND DRYER INCLUDED. SKYLIGHT IN MODERN BATHROOM. NEWER TIP IN WINDOWS. BEAUTIFUL BAMBOO FLOORS. NEW DECK ON BACK OF HOME. GREAT PLACER TO RELAX ON WARM SUMMER NIGHTS. LARGE YARD HAS BEEN BEAUTIFULLY LANDSCAPED. PLUS PUBLIC WATER AND NATURAL GAS. Directions To Property: Starting In Batavia Take Route 63/Lewiston Road Northbound For Approx. 5 Miles, Turn Left Onto Batavia-Oakfield Townline Road, Sign In Front.